This month’s featured cheerleader is Kalie Lipham. 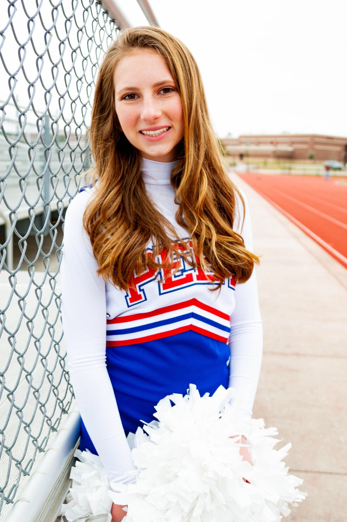 Kalie is a current cheerleader at Peet Junior High School and has been a member of Sideline Spirit for 2 years. She puts her heart and soul into training each week and wears a smile while doing it! Congrats on being name our featured cheerleader Kalie! You deserve it! What do you love most about the gameday experience? I enjoy watching all of my teammates and love to get on the sideline and show my spirit! What sets you apart from everyone else? I always carry a positive attitude with me, and strive to be the best that I can be. What experience do you have as a cheerleader? I started cheering in the 7th grade. I came to Sideline the first day without knowing a clue about cheer. I can say I have come so far! What skills are you currently working on? Perfecting my round-off back-handspring. What are some of your favorite hobbies? I love to show pigs!